DO YOU WANT TO PLAY SPORTS UP TO AND INCLUDING THE PROS? WE AT A1 TALENT SUCCESS! CAN HELP YOU MAKE IT HAPPEN! WE WORK WITH ATHLETES AS YOUNG AS ELEMENTARY SCHOOL TO HELP THEM DEVELOP THE SKILLS AND MENTAL TOUGHNESS TO BE A PREMIER ATHLETE!! GREAT ATHLETES ARE NOT BORN GREAT, THEY ARE TRAINED TO BE GREAT! WE AT A1 TALENT SUCCESS! CAN TEACH YOU THAT MENTAL EDGE!! WITH US AT A1 TALENT SUCCESS!" First, any Athletic Talent that wants to play at the highest level needs to remember the #1 rule, "DON'T DO IT ALONE!" You need a Sports Management Consulting Company that has attained top status in training athletes to succeed. That company is A1 Talent Success! Our Athletic Talent clients have consistently received local and national amateur sports awards and scholarships. We have put our athletes in position to be considered by elite travel, ranked public and private schools and pro sports teams! Our goal is to see our Amateur Sports Talent excel and get positive press in newspapers, radio and television. We wants to have our Talent being scouted by the top schools and listed as their state's elite talent. Our goal is for you to be THE BEST! Being THE BEST in sports is not easy. It involves a strong work ethic and extraordinary mental conditioning. We always teach our Talent how to achieve both! We expects our Athletic Talent to train, train, train and work hard academically, expecting them to be both athletic and scholar Talent. We want them to have the OPPORTUNITY in the future to make tens of millions of dollars in professional sports, entertainment or business. There is no other Amateur Sports Management Consulting company that works to make the Athletic Talent successful in their entire life, like A1 Talent Success! does! We at A1 Talent Success! know that it is not an easy task for Talent to be successful. To do so, there needs to be a network of highly trained people working closely with the Talent, such as we do at A1 Talent Success! We will make sure that the Talent live their lives properly, and get the proper physical and mental training and keep their grades up. We expect GREATNESS from our Talent so we want to work with athletes that have HEART! They may not be where they need to be when they begin working with us and that's fine. We will work tirelessly to help our athletic Talent achieve the results that they desire! With our motivational training and guidance, we at A1 Talent Success! have already put a myriad of amateur athletes into college and beyond with both athletic AND academic scholarships!! 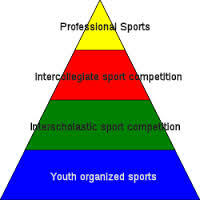 Ideally, for best results, an athlete should start training as early as possible, starting as early as elementary school; but we at A1 Talent Success!, we have worked with athletes as late as 12th grade and still got them into college sports! BUT DON'T WAIT ANY LONGER, YOU'VE WAITED LONG ENOUGH! 1(754)999-6884 and set up either an in-person or telephone interview. We will call you back within 24 hours! We at A1 Talent Success! can start working with you TODAY! The longer you wait, the harder it gets to succeed and more people are moving ahead of you to take away your dream!! Make sure your message or text is detailed explaining athlete, age, and athletic goals. WE WANT TO HEAR FROM YOU!! If Talent is under 18, the parent must contact. GET STARTED TODAY! LET'S GO!!! *As Talent, your success may vary. Success depends on many factors including but not limited to ability, determination, self-discipline, self-confidence, level of sacrifice, education and/or third party help in achieving said goals. A1 Talent Success! is in no way guaranteeing that you will achieve the level of success that you desire, but only that we will work with and assist you in achieving your desired goals. **Prices for Talent Services vary depending on how much work is involved in working with Talent. Price will be quoted prior to beginning service.